WCSA Show Sneak Peek: Guest Members! 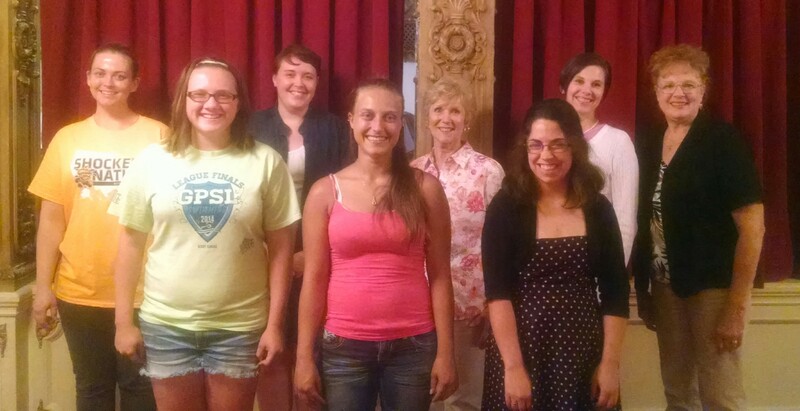 As part of the Wichita Chorus‘ Come Sing with Me event (an event inviting talented women to join us for a season of singing and participating in our annual show, dues free), the Wichita Chorus has welcomed several guest members this summer. Some of our guests recently posed for a picture following rehearsal; from left to right, the ladies are: Holly, Skylar, Angela, Vik, Joyce, Tara, Amanda, and Marge. To see these guest members and the rest of the Wichita Chorus in action, buy your tickets to our annual show here! WCSA Show Sneak Peek: Wichita or Bust!